A love of the Scottish hills doesn t depend on the height of any summit but on an indefinable quality which the 2500ft plus hills have in abundance, even more than the Munros perhaps. 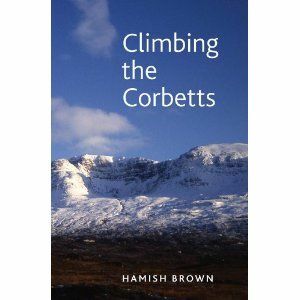 This book describes one well-known mountaineer s compact with the Corbetts, rich with anecdote, historical connections, and written with companiable enthusiasm. As with the Munros, the Corbetts will introduce the hillgoer to interesting new areas and islands such as the Galloway hills, Applecross, Ardgour and Morven, extensive wilds Beyond the Great Glen , Arran, Jura, Rum and the Outer Isles, and gems like Ben Tee, Fuar Tholl, Cul Mor and Cul Beg, Foinaven and Arkle, The Merrick and The Clisham. Hamish is the perfect host to introduce this alluring Scottish game of Climbing the Corbetts. As with Hamish s Mountain Walk and Hamish s Groats End Walk, Sandstone s superb production includes two sections of fabulous colour photographs.